No no no not dirty washing, please put ya knickers away, im talking about the festival in Belguim, cant wait to get over there on Saturday to wail over Netsky’s set in his home town, if past events are anything to go by its gonna be crazy and the perfect way to kick off the month of September adventures Flying into Sardinia on Sunday for the mighty mighty sun and bass and after a week of that im off to Berlin til Nov! 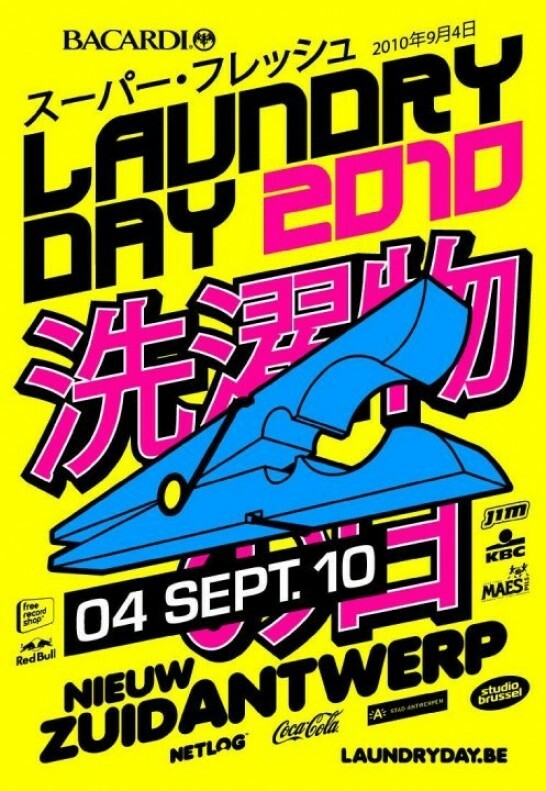 Playing around Germany so keep an eye out for when and where right here….in the meantime if your in Belguim, Antwerp tomorrow make sure you reach Laundry Day for some of this…. Wow time is flying like mythical pigs round here and the official end to my summer is drawing closer and closer, Sun & Bass 2010! Im so excited that i’d thought i’d remind myself of whats in store by watching this short film from last years festivities hosted by Bailey! If you haven’t got your ticket yet and are still in need of a festival fix, it aint to late to get your sh*t together and go, see you on the beach bee-yatches! Show Some Appreciation – Zed Bias & Jenna G from Jenna G on Vimeo. Just one of the many tracks written last year at the Biasonic laboratories with Zed Bias. Just found this little video we made for it in my backgarden. It’s a short version of the track which may or may not come out on Development this year…watch this space for more info!